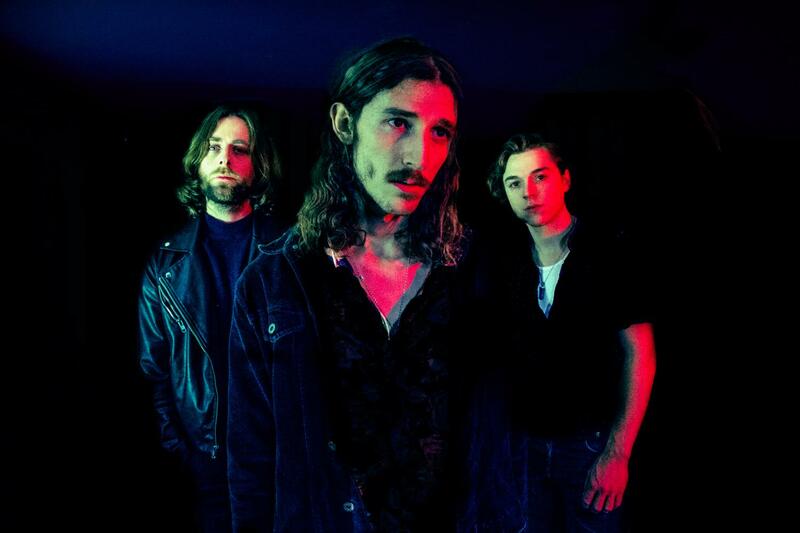 Demob Happy met as teenagers in their native hometown of Newcastle. Coming together over a shared love of the fuzzy rock sounds and vocal harmonies of the 60s and 70s. They started playing together and quickly realised there was something special between them. Very soon they had moved-in together, formed a band and were beginning to forge a sound rattling out their early songs in the dive bars of Newcastle. After the setback of a lengthy court battle to get their gear backthe police had seized all their instruments due to noise complaints, Demob Happy set sail for the shores of the south coast settling in Brighton where they began to dig in their heels as stalwarts of the music scene. It was here in their new home of Brighton that the band would help set up Nowhere Man Cafe- the basement of which became their HQ, rehearsal room and the spot for frequent underground DIY shows and parties. Meanwhile out on the road the boys were swiftly building a reputation for their raucous live shows and freewheeling spirit. Deciding to continue as a three piece, writing sessions commenced once again in the secluded Welsh cottage in February 2017. Early recording sessions at Rockfield studios with Producer Tom Dalgety; The Pixies, Royal Blood, gave birth to the song ‘Dead Dreamers’- the first material to be released since Dream Soda. Continuing to visit the cottage for writing sessions throughout the year the band enjoyed what they said was ‘An inspired and uninterrupted creative lightning bolt from the gods,’ that saw them leave the cottage with over 50 tracks from which they would carve their second album. After a summer writing, touring and road-testing the new material, recording sessions for the second album began. Once again with long-time friend and producer Christoph Skirl involved and now with the addition of Ian Davenport; Band of Skulls, Gaz Coombes, in the production chair. The first single from the album ‘Be Your Man’ was released on Oct 12, 2017 and hailed “A fuzzy, sleazy monster, dredged up from the murkier quarters of indie rock’s backwaters” by DIY magazine. The album is expected to land in early 2018 and until then Demob Happy can be seen out on the road touring the UK with label mates Dinosaur Pile Up followed by a main support slot on The Cribs ‘Residency’ December tour. Demob Happy use Roto Reds and our iconic Rotosound Swing Bass 45 – 105 strings.